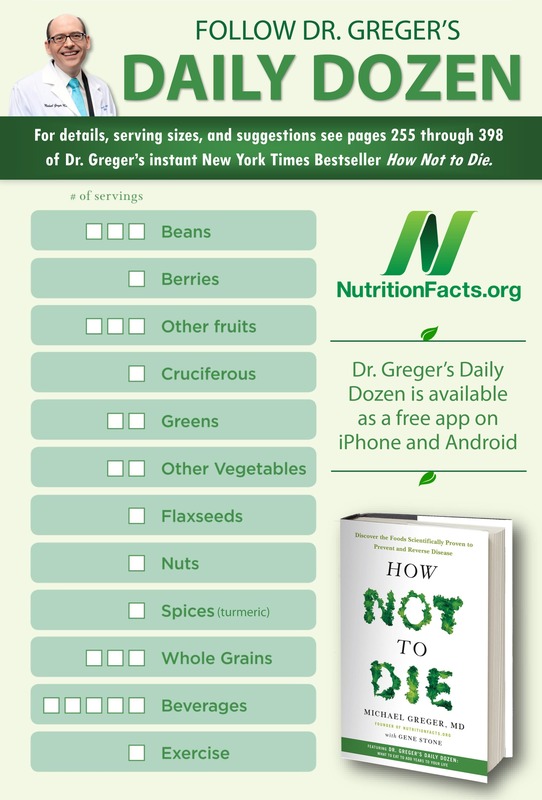 In addition to showing what to eat to help prevent the top 15 causes of death, How Not to Die includes Dr. Greger’s Daily Dozen—a checklist of the foods we should try to consume every day. Full of practical, actionable advice and surprising, cutting-edge nutritional science, these doctor’s orders are just what we need to live longer, healthier lives. And now you can order the new How Not to Die cookbook with over 120 Daily Dozen focused recipes! 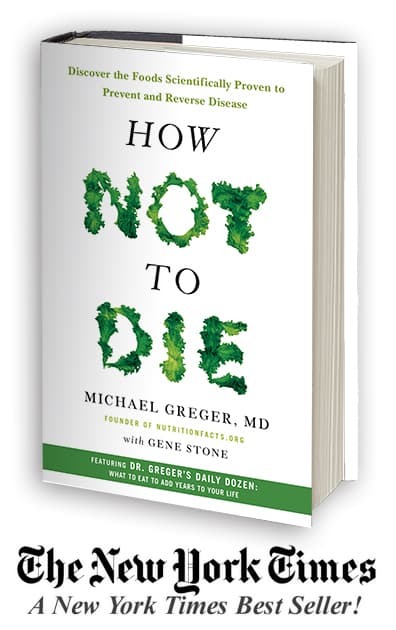 Localized editions of How Not to Die are now available in Bulgaria, Croatia, Czech Republic, Finland, France, Germany, Hungary, Israel, Italy, Japan, Korea, Poland, Portugal, Serbia, Spain, Sweden, Taiwan, and the UK. 100% of the proceeds Dr. Greger receives from all his books are donated to charity. 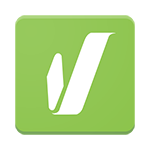 The Daily Dozen is open-source. Find out more about how you can contribute.